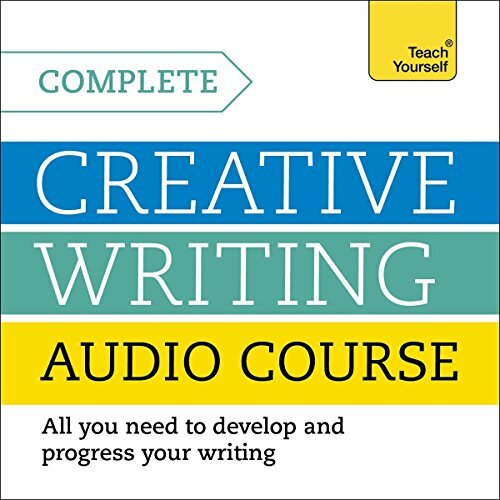 For anyone who dreams of publishing a novel the essential guide can be found in Complete Creative Writing Course written by experienced creative writing tutor Chris Sykes and narrated by the author in this audiobook lecture. Whether you’re a true beginner or avid writer, this guide enlightens you with the skills of creative writing. From the very beginnings of forming an idea for a story to the actual steps involved in structuring and planning your manuscript. Everything on the subject is covered in this brilliant guide. Available now from Audible. Our unique audioteach method features the voice of a real tutor, Chris Sykes. He will guide you through your course with over seven hours of audio material, giving you tips and advice based on his many years of teaching and writing experience and helping you to avoid common mistakes and pitfalls. This course takes you from complete beginner or committed amateur to the point where you've completed, edited and redrafted your work and are ready for publication. Would you listen to Complete Creative Writing Course again? Why? I like the examples. A reviewer says that they didn't like the different voices, but I think if he or she kept listening they would find the other voice intriguing. It was like listening to a radio show with different actors playing a part. I like how the narrators drew me in with examples on how to write. I have so many questions and this audio has answered many of those questions. What other book might you compare Complete Creative Writing Course to and why? Sol Stein's On writing comes to mind, but I actually think this audio is better. If you like Sol Stein's audio, you'll this one as well. What would have made Complete Creative Writing Course better? I would have had one person doing the reading. Having 4 people read one line each, one right after the other, is very difficult to follow. Again, multi people readers needs to be handled well. It works if each person reads a section, but these ones seemed o be trying to represent different thoughts. I didn't get past the first 40 min. It was disappointing.